I don’t know where to start when I look back at this wedding. 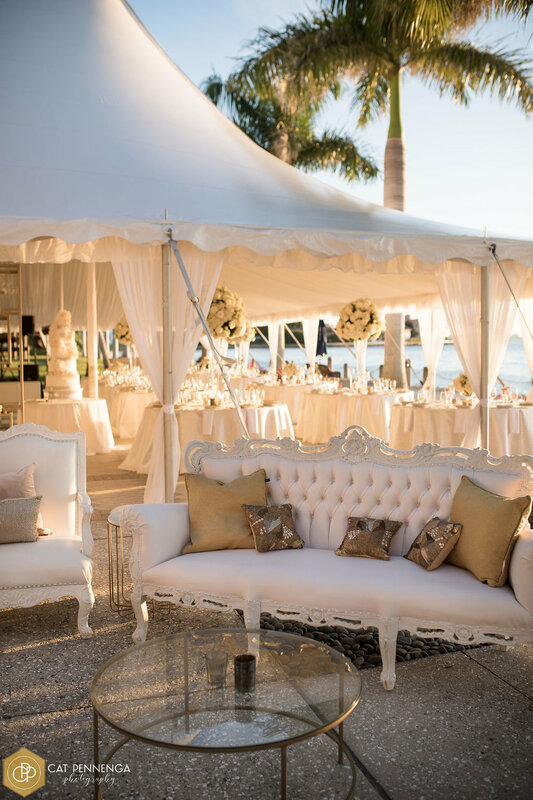 It was an ethereal scene, with a white draped tent that seemed to create almost a floating effect, set on the water’s edge at the Ca’ d’Zan Mansion at The Ringling Museum in Sarasota, Fl. 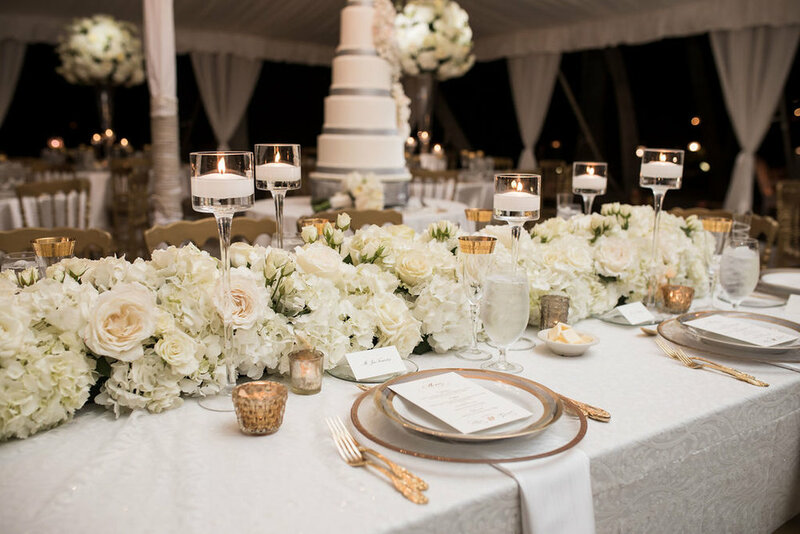 Sparkling chandeliers, an abundance of flowers in tones of white with subtle color, and loads of glittering, glowing candles, it was like walking into a dream. 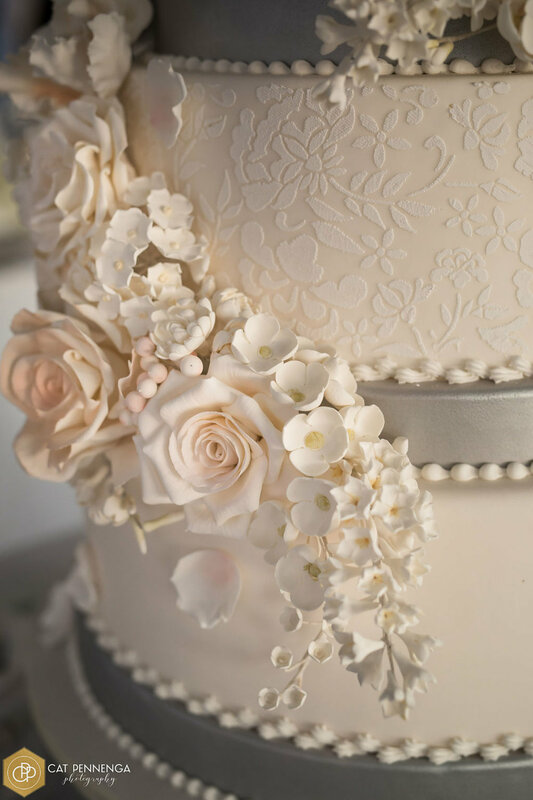 As a cake designer, there is nothing more inspiring than working a couple who are obsessed with their wedding cake. And in this case, Kym and Gerret didn’t disappoint! Gerret wanted a tall cake, the taller the better. 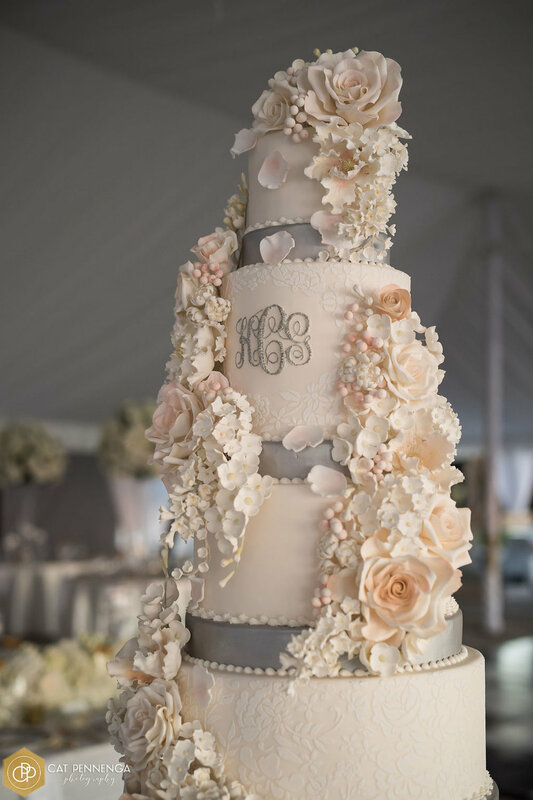 Sugar flowers were an absolute must. 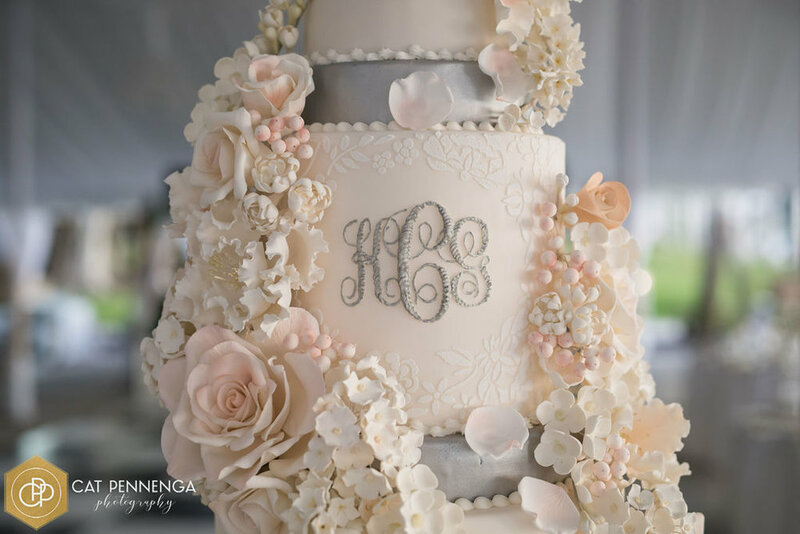 A custom lace pattern, and a hand piped monogram to make the cake really unique. The rest was left to me. 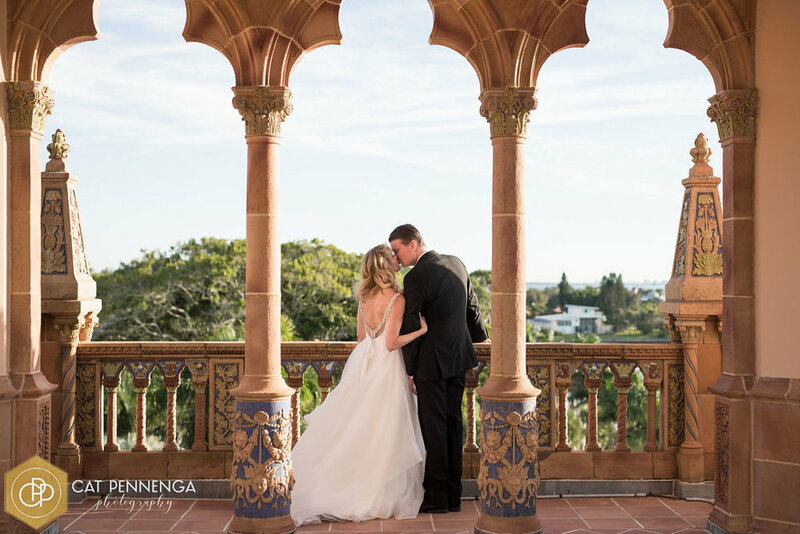 I loved every minute of the process, from the first time we spoke until the day of the wedding when I was greeted by the bride’s beaming smile and embraced in a heartfelt hug and sincerest thank you’s. As I always say, It’s not just a piece of cake. It’s art. Creating a concept that represents the couple, that tells a bit of their story, takes time, respect and understanding. 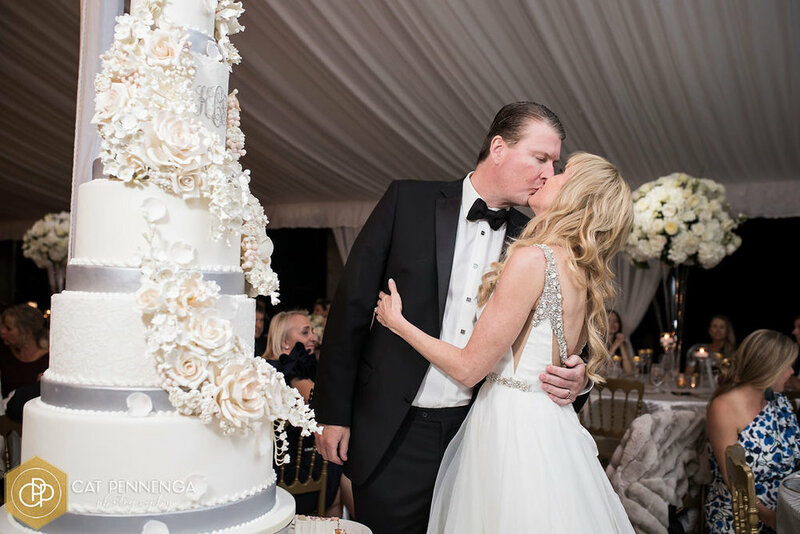 It takes getting to know each other, developing a trusting relationship between me and the couple, so that I can create their one of a kind dream cake. 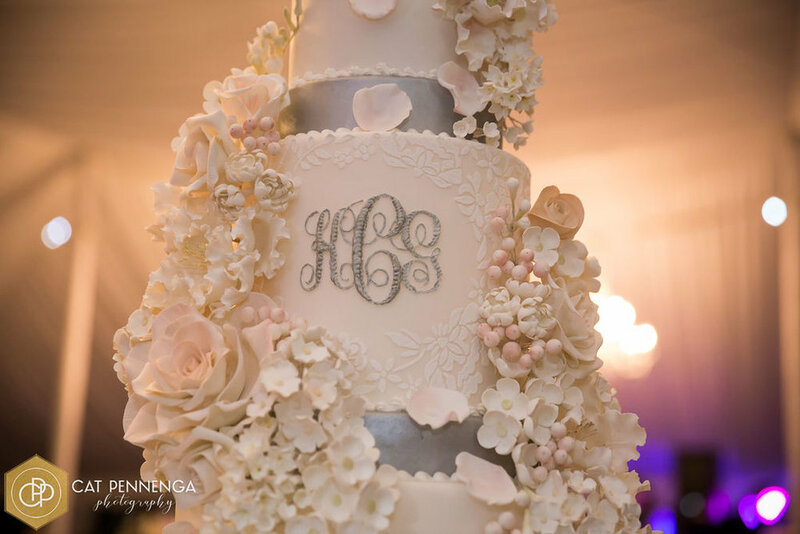 For me, every cake tells a story, it depicts a part of the love story of the couple. It’s such a significant part of the wedding; it’s the first task the couple will perform together as a married couple. So, it should be special. It’s a forever memory. 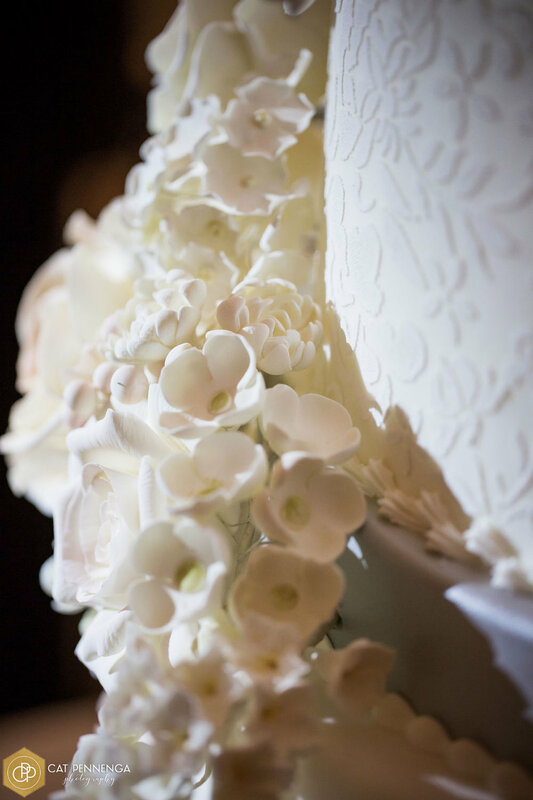 Coming up with a vision and concept for a custom wedding cake is like starting with a blank white canvas, and it’s always so exciting to see how the initial idea transforms into the final cake on the day. So happy and honoured to have been such a special part of Kym and Gerret’s wedding day.